Established in 1902, Brasch Hobby craft store is based in Selby, Johannesburg, Gauteng. Brasch Hobby is a manufacturer of crafts & related products and also a distributor of heritage craft products and services to retail customers throughout South Africa, including Pietermaritzburg, via the online store. Homecraft tips and craft projects and courses are also available. 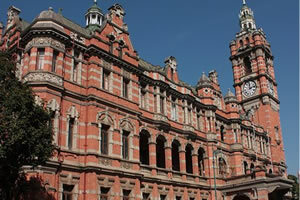 Situated in Pietermaritzburg, the capital of KwaZulu-Natal, the Tatham Art Gallery is one of the major art museums in South Africa and a popular tourist attraction. Its South African art collection and exhibitions are focused on, but not exclusive to, the art of KwaZulu-Natal. The Gallery shop stocks high quality arts & crafts by local crafters. It is an ideal place to find unique presents and original collectables.